de keuze van de fan: both equally! Can u guess who the seven people in the banner of this club are? 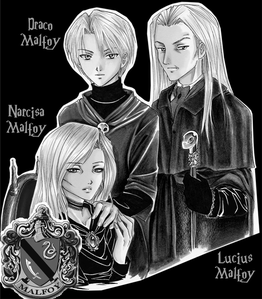 If Draco Malfoy had been raised door a different family, do u think that he would have been a better kind of person? This is like a goud mine of fantabulous fan art! I use a lot of the pictures from this site to win compliment contests, and this was also where I found all if not most of the harry potter pictures I geplaatst on this site. u know what /else/ would be a good idea? a poll was toegevoegd: Who is smarter? a poll was toegevoegd: Fantastic beasts and where to find them anime? The Malfoy ancestor, Armand Malfoy arrived in Britain with William the Conqueror as part of the invading Norman army. Is this statement true of false?